With the ongoing Godrej Food Trends 2018 contest, the best bloggers in the country are going head to head for the title. With hundreds of entries flooding in, the competition is gruesome. Everyone wants to be victorious. However, this contest, unlike any other, is not just about winning. As much as I understand it, it’s about creating awareness among the people in our community. India, being the nucleus of the food realm across the world, is the birthplace of innumerable food fanatics. Moreover, the Indian food is infamous for its rich cultural diversity and tantalizing flavour. Thus, there is a dire need to create awareness among the food fanatics about the ongoing trends in the food industry. To do this, the Godrej group, in association with Vikhroli Cucina, came out with the Godrej Food Trends Report 2018. This report serves to be the reservoir of all the expected food trends in the year 2018. It gives us a deep insight into the trends that are anticipated to catch on this year. Being an active health and fitness blogger with a zeal to satiate my food fanaticism, I often found myself going through the insightful Godrej Food Trends Report 2018. Although I have written an article on the Trends in the Indian Food industry, I wanted to shed some light on another noteworthy trend – Healthy Ingredients. The Godrej Food Trends Report 2018 highlights a variety of trends. A few of the trends are listed below. Of all the trends, the trends regarding the health and nutrition caught my eye. The Godrej Food Trends Report 2018 provides a thoroughgoing insight into the expected trends regarding the ingredients being used in the food that we so rapturously gulp down. With several health problems like obesity, heart problems, diabetes etc. on the rise, people are becoming more and more health conscious. The average joe wants to be eating healthy to sustain a healthy lifestyle. As the people get more health conscious, there will be a change in the quality of food they consume. The attention will shift from the unhealthy junk food to natural, organic whole food. Thus, there will be a paradigm shift in the food industry as more and more healthy ingredients will be incorporated in the food that we consume. This is what the Godrej Food Trends Report 2018 highlights. According to the report, everyone in the expert panel (100%) claims that local millets like Jowar, Bajra, Kodo, Amaranth, Ragi etc. will be the craze in 2018. With people getting more and more health conscious, the adoption of local millets will be on the rise. Moreover, we as a community need to be aware of the importance of incorporating our locally grown diverse food crops into our food. Not only will it help our farmers but will also ensure the lifelong sustainability of our diverse culture and rich food. Millets are basically small-seeded hardy grasses that can be easily grown in dry areas. These are rich in nutritional content and are non-glutinous. Millets are easy to digest and are a better source of nutrition than wheat and rice. Apart from the several health and nutritional benefits, there is one major impact of incorporating millets in our diet. The integration of more and more millets in our diet will help a lot of underprivileged farmers and will put them out of their misery. A lot of farmers in India grow millets as they can be harvested in a matter of 65 days and do not require much water. Thus, if millets were to become the preferred cereal grain in India, a lot of farmers will be benefitted. We, as individuals should strive to help and give back to our community as much as possible. I will definitely incorporate millets in my diet from now on. Not because the health benefits are off the charts, but because we need to stick to our roots and not forget our own. Here is a list of 25 healthy recipes that will help you incorporate millets in your diet – Click Here. Moreover, if you need any information about millets, here is a blog I stumbled across that has in-depth knowledge of millets available in our country. Feel free to check it out. About 67% of the panel believed that Moringa, also known as the drumstick tree, will be the rage in 2018. Moringa is a widely cultivated species that is rich in vitamins and minerals. It is grown in the foothills of Himalayas and in several other tropical and sub-tropical regions. Its leaves are used as a vegetable in many regions. Moreover, Moringa is widely available in powdered form. The powder is nutrient-packed and has innumerable health benefits. It is rich in vitamin A and C.
It is jam-packed with minerals. It is rich in amino acids that are the building blocks of protein, thereby Moringa helps in muscle building. It lowers the bad cholesterol level in the body and prevents several heart-related problems. It helps in the suppression of gastric trouble in the body. It is anti-inflammatory. 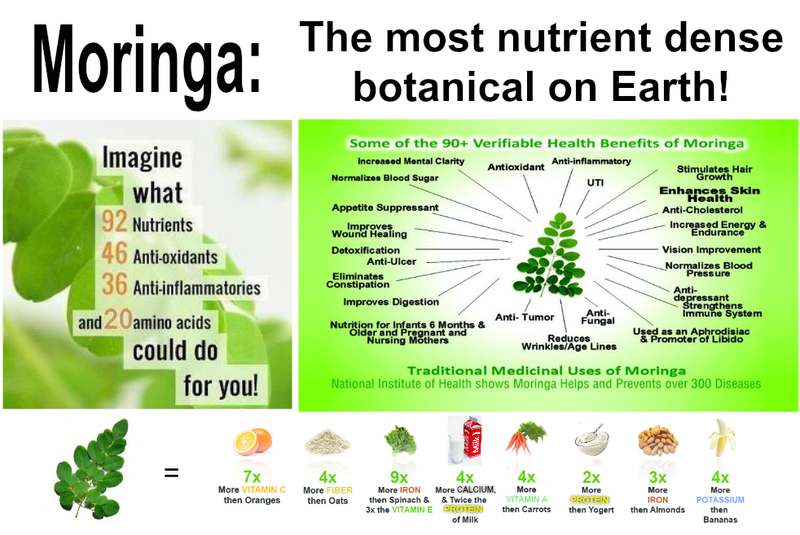 These are just a few of the health benefits of Moringa. Species like Moringa are the agricultural jewels of our country. However, we are not even aware of such species. It is because of such initiatives by Godrej, that we the people are made aware of such crowned jewels. To buy Moringa powder from Amazon – Click here. Cold-Pressed juices are the healthier alternative to the normal juices available in the market. The difference is in the manufacturing process. A cold-pressed juice is not prepared like the normal juices that available for consumer consumption. Instead, these are prepared using a different method. These juices are prepared by pressing fruits and vegetables with a hydraulic press. The immense pressure gets the fruits and vegetables to release juice that is then collected and packaged in bottles. The benefit of the Cold-Pressed Juice is that it is free from any preservatives. It is the raw form of juice that is directly obtained by pressing your favourite fruits and vegetables. No added ingredients, no added preservatives. That is the USP of a cold-pressed juice. These juices are usually expensive due to their preservative free, all-natural manufacturing process. However, with the present trends, we have seen that people are willing to pay a premium for healthy alternatives. Thus, I too believe that cold-pressed juices will be the new hype in 2018. 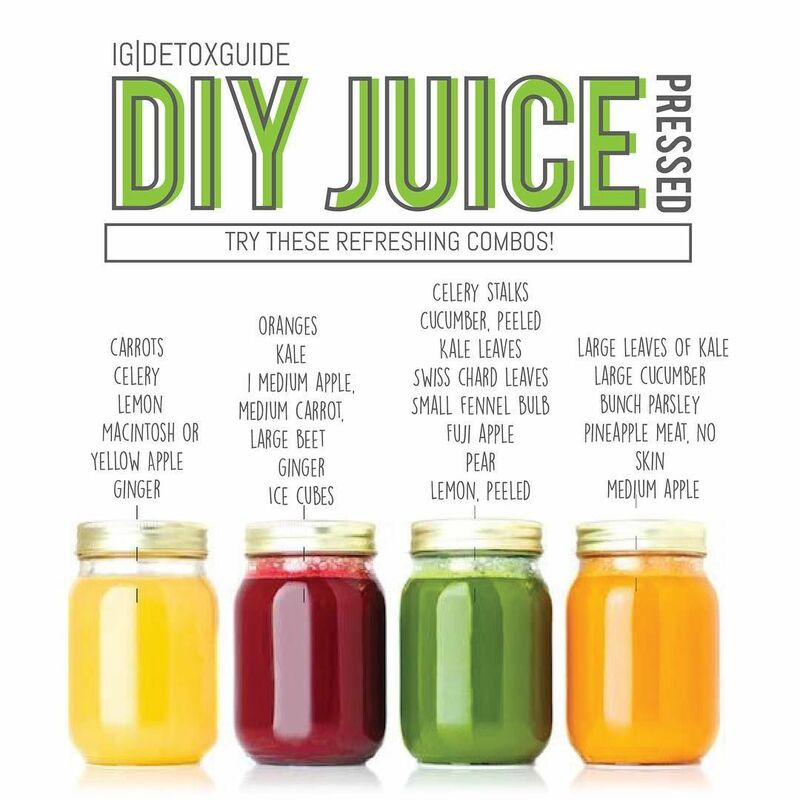 Here are a few DIY cold-pressed juices that you can try. Not all bacteria are bad bacteria. In fact, we all have millions of good bacteria in our gut. The bacteria present in our guts help us digest food and improves our digestion process. The bacteria in our gut are an absolute necessity if we want to have a good digestion process and stay away from problems like constipation. Mostly all health problems are caused by a faulty digestion process. That is the thought behind incorporating bacteria in several food products. Probiotics, as the name suggests, are good bacteria. “Pro” meaning Pro-life and beneficial to us and “Biotics” refers to bacteria. Thus, several products are enriched with good bacteria to help us accentuate our digestion process. These products have innumerable health measure and are a rage among consumers. Natural probiotics include yoghurt (dahi), buttermilk (lassi), pickles etc. If you want to know more about probiotics, here is the link to the ULTIMATE GUIDE TO PROBIOTICS. India is the country of that first started using plants and herbs for medicinal properties. We gave birth to Ayurveda – the traditional system of medicine. Thus, our country has a rich heritage when it comes to superfoods. However, we are oblivious to such foods and are often keen on foods imported from abroad. Most of the people living a healthy lifestyle incorporate foods like quinoa, kale, avocado’s etc. in their diet and they end up overlooking the Indian superfoods that are readily available. But, as the Godrej Food Trends Report 2018 suggests, more and more people are willing to invest in our own culture and stick to our own roots. Thus, the Indian superfoods will definitely catch everyone’s attention in 2018. 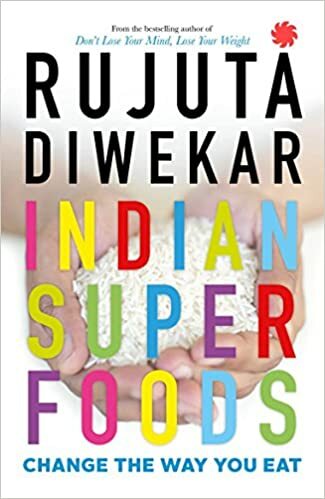 For more information on Indian Super Foods, feel free to check out Rujuta Diwekar’s book – INDIAN SUPERFOODS: CHANGE THE WAY YOU EAT. 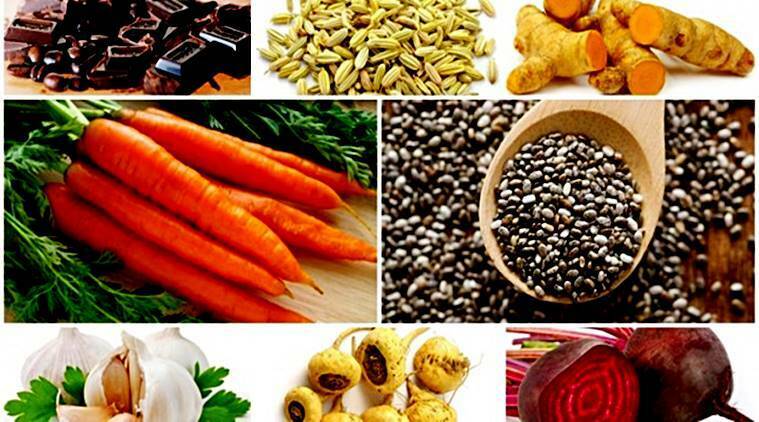 Here is a list of a few Indian superfoods. In today’s day and age, the whole world is experiencing a paradigm shift. From being a socially crippled society to now a socially active one, we have evolved. Everyone seems to be washed away by the enormous wave of the internet. The attention of the world is fixated on all the social media platforms like Facebook, YouTube, Instagram and Twitter; to name a few. Be it either promoting new products online through amazing giveaways like #AsusIndia or sharing one’s life with the world at a global level like Mumbiker Nikhil, everything is done online. In a world obsessed with the fast-paced internet, one needs to be loaded with the latest tech. Being a social media influencer myself (just like Mumbiker Nikhil), I realize the importance of investing in tech that can be the gateway to our dreams. A good laptop can truly be the device that gives us the opportunity to achieve our goals that may otherwise seem far-fetched. A young Casey Neistat maxed out his credit cards to buy the new iMac. He used the iMac to learn video editing himself, only to become one of the most celebrated filmmakers/youtuber globally. With some of the most prestigious film awards to his name, a multi-million-dollar media company and his 9.6 MILLION YouTube subscribers, he is the living embodiment of “making it big” by sheer creativity and passion. Needless to say, his accessibility to top-notch technology has helped him conquer his dreams. A young Elon Musk came to the U.S from South Africa, looking for better opportunities. His inclination towards computers and technology compelled him to start world-renowned tech companies like PayPal, Tesla, Solar City and SpaceX. Who knows how many Casey Neistat’s or Elon Musk’s are just around the corner waiting to be recognized. The only thing they need to harbour all that embryonic creativity is an internet connection and a good laptop. As for me, being a social media influencer and a blogger, getting the new VivoBook S would be a monumental upgrade from the old beat-up laptop that I have been using for the past so many years……. Here’s a look at my current laptop in all its glory. My ergonomically designed, aesthetically pleasing laptop. I hope you sense the sarcasm in the understatement. Being a blogger, I need to constantly be writing articles about various topics and the keyboard is just not giving me the desired tactile feedback anymore. Moreover, being inspired by Mumbiker Nikhil, I too, am thinking of starting my own YouTube channel. I think it is evident by the condition of my current laptop that rendering the videos is going to be a burdensome nuisance. INTRODUCING – VivoBook S – A NOTEBOOK FOR PERFORMERS. Me: “Don’t interrupt me now. Let me express my adoration for the new VivoBook S.
The New VivoBook S is the ultimate machine that will bring an end to all the hurdles and setbacks in your life. The ergonomic design, stylish outlooks, metal finish and the aluminium brush strokes give it an unprecedented premium look. Here are a few features of the VivoBook S.
The VivoBook S weighs a mere 1.5kg’s. So, feel free to carry it anywhere, anytime. Moreover, it boasts about its 17.9mm ultra-slim, sleek metal body. It defines the word “portability” accurately. Always travelling like Mumbiker Nikhil? This is the laptop for you. The VivoBook S has a paper thin, NanoEdge Bezel. It displays an unprecedented 80% Screen-to-Body ratio. What it means is that if you invest in a VivoBook S, you will be getting a 15-inch screen in the chassis of a 14-inch laptop. Such a wide and elusive display will increase the quality of your viewing experience by ten folds. Its immersive visuals and True2Life video will get you addicted. Not only is the VivoBook S aesthetically pleasing, but it is also soothing on the eyes. One of the major plus points of the VivoBook S is that it is supercharged. It charges from 0-60% in just 49 minutes. Being late for work and your laptop is low on battery? By the time you’ll brush your teeth, bathe and get dressed for work, the VivoBook S will be ready to use for the rest of the day. Yes, it is that fast. All of us have had to deal with the hassles of charging our laptops again and again. Well, NOT ANYMORE. The VivoBook S provides up to 8 hours of battery backup. This combined with the supercharged battery that goes from 0-60% in a mere 49 minutes, your battery related issues will be obsolete. Gone are the days when you had to sign in every now and then to access your laptop. With the VivoBook S having a super-fast and highly responsive fingerprint scanner, you will be able to access your laptop with the flick of your finger. Not to mention the added security it provides. The VivoBook S will ensure your privacy. You will be the only one who will be able to log in to your laptop. All thanks to the top-of-the-line fingerprint scanner. The VivoBook S has an ergonomically designed backlit keyboard. The tactile feedback of the keys is subtle, and it will be nothing but a luxury to use this keyboard for the day to day use. Being an active blogger, I can only imagine what it would feel like. The VivoBook S rocks a 7th generation Intel core i7 processor and an NVIDIA GeForce 940MX graphic card. These high-end specs make the VivoBook S a top-notch, high-end laptop. Moreover, it can handle any sort of video rendering (for the aspiring YouTube creators) or high-end gaming with ease. You too can start playing PUB-G like Mumbiker Nikhil and live stream it online. It has a massive 2 TB HDD + 512 GB FAST SSD. Thus, storage and performance offered by the VivoBook S are immaculate. We live in a country that is obsessed with gold and silver. Ever since the ancient times, our inclination towards possessing and collecting the two precious metals has been on the rise. India lives and breathes gold. Just like cricket. We have been investing in gold and silver from time immemorial. Be it a billionaire businessman or a middle-class individual workinga 9-5 job, either of the two will never shy away from making an investment in metals like gold and silver. Safe returns. Yes, all of us are aware of how safe it is to invest in metals like gold and silver.When it comes to buying gold and silver, we never lose money, do we? We have been doing it since ages. Our parents invested in gold, their parents invested in gold and their parents invested in gold as well. I’m sure you have certain pieces of jewellery that have been passed onto you by your parents. It’s tradition. Moreover, you can’t deny the auspicious value behind these metals. Gold and silver are the fountainhead of our culture. Every house wife in India has a few pieces of gold and silver jewellery in her locker, if not more. We, as a community celebrate by buying gold and silver. These metals don’t just hold a traditional or cultural value, but they are also good investments. Gold and silver, as a commodity, have always been the front-runner choice for investing your hard-earned money. From an angel investor in a venture capitalist firm to an investment banker on Wall Street, everyone knows how profitable it is to invest in gold and silver. These metals top other investments like stocks, shares, bonds, and evenreal estate. Metalpay is an app that lets you invest in gold and silver online, just at the click of a button. That’s right. It is THAT EASY. You might be apprehensive about buying gold online but let me assure you, your money is in safe hands. Metalpay was launched with the very intention of allowing people to invest in gold and silver hassle free, without any hesitation. In addition to the existing safety features, all metals of metalpay are BIS certified. With the whole Indian economy going cashless, digital payments are on the rise. I’m sure you must have bought something online from a website using many of the digital payment methods available. Thus, with the tech era on the rise, online transactions have never been safer. Consider Metalpay to be the Amazon when it comes to buying gold and silver online. All your transaction will be 100% safe. Metalpay is very committed to ensure the ethical code of conduct when it comes to handling your transactions. Moreover, buying gold or silver from the Metalpay app is as easy as sliding a knife through butter. I’ll demonstrate the whole process in less than a minute. STEP 1 – VISIT Playstore or the Apple app store and download the app. STEP 2 – Open the app and create an account. This is done to make sure that no one else can access your account on your behalf. Like I said, Metalpay is committed in making the whole process as safe and as user friendly as possible. STEP 3 – Now that you’ve created you account, you can buy gold and silver FOR AS LOW AS 1 RUPEE. All of you have to do is select the weight of the metal that you want to buy and once the payment is done via the secure payment gateway in the app, you will have bought yourself some precious metal. You may also select the amount of money that you want to buy the metal for. That is, it! In three easy steps, you just made a reformed investment. You may see the amount of gold/silver you have via the virtual locker in the Metalpay app. The gold or silver that you buy is stored in fully safe, high-security lockers that are revered for their state-of-the-art security both nationally as well as internationally. These lockers are completely safe and ensured. Your metal will be safe in this locker. Moreover, you can even get the gold or silver that you bought, delivered to you. Just put in your address and the precious metal you just bought will be delivered to you at your doorstep. Apart from the above-mentioned benefits of using Metalpay, here are a few more listed down below. As we all know, the prices of gold and silver keep fluctuating. Metalpay lets you buy the metals at real time prices. As soon as you log into your account, you will see the price of gold and silver. Metalpay offers you the best prices to buy gold and silver. You may choose to sell the gold/silver back. Yes, you can decide whether to get it delivered or to sell it back once the prices skyrockets. After all, it’s an investment. You need to make money. Once you sell it, the money will be transferred to your account in 2-3 days. You can easily make a profit from your investment with this app, that too, with the click of a button. If you want to mint the gold/silver that you bought into a fine piece of jewellery and get it delivered to your doorstep, you can do that too. You need to head onto the Jewellery list in the app, scroll through the designs and choose the one you like the most. Every jewellery that you receive will come in a sealed package and a stamp of purity. You can always count on Metalpay for 100% authenticity and transparency. So, what are you waiting for? Download the app and “invest away”. You will surely recommend Metalpay to your friends and family because it is just that good. No hassle, 100% safe and easy to use. You can even refer it to everyone you know and earn silver on the app. Once, they use your referral code to sign up, both of you will earn silver. Don’t wait anymore. Head onto the Google Play store or the Apple App store and download the Metalpay app now.